Having a lot of photos stored on any mobile device like iPhone/iPad and so on can take up a lot of space. Deleting important photos is a lot more common when trying to free up space or simply because of manual error. 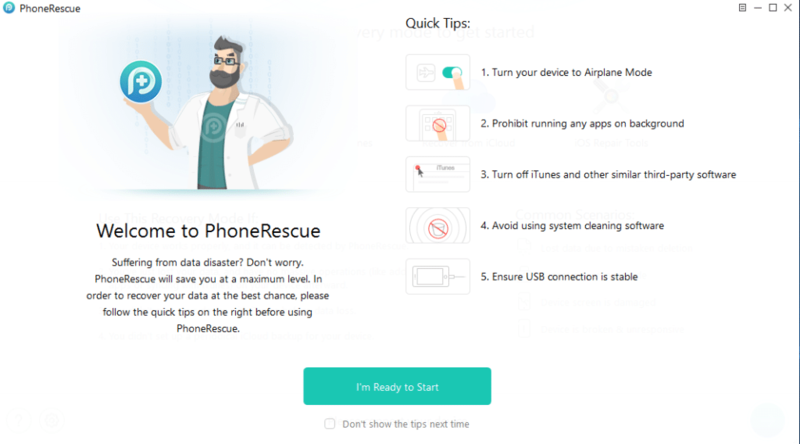 PhoneRescue is a data recovery tool that can recover photos, contacts, call lists and other iOS data all with a few clicks. It also has an Android version available. More details here. Download and install for iOS from here. It is available for Windows and Mac platforms. The pricing details can be found here. Once downloaded, the setup is self explanatory with an option of changing the installation path. The installer will download the required files. Wait for it to complete. 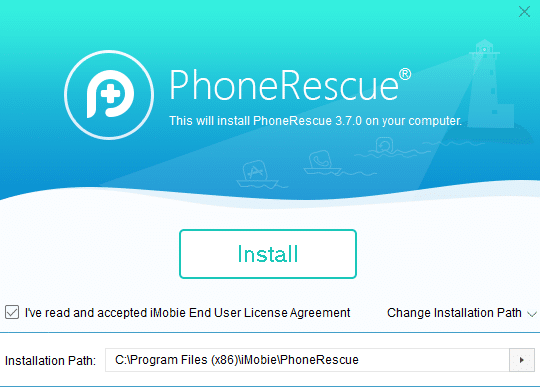 Once installed, PhoneRescue will display a list of tips for optimal use of the program. It includes setting the devices to Airplane Mode, close any running apps, turning off iTunes and so on. 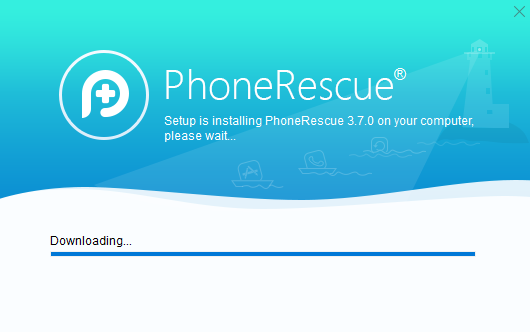 To begin setting up the iOS device with PhoneRescue, click I’m Ready to Start. The initial screen before connecting the device will show the various recovery modes available. These include recovery from iOS Device , from iTunes Backup, from iCloud or using the iOS Repair Tools. Click on the different options to know about when to use them. 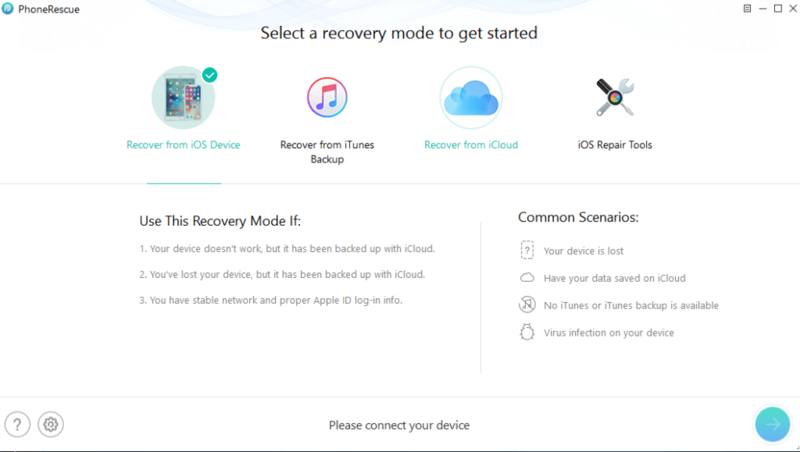 There are common scenarios listed for each of the recovery mode so choose the suitable mode as needed. Plug in the iOS device using the USB cable to PC. PhoneRescue will automatically detect the connected device and display the status message at the bottom. Let’s take a look at each of the recovery modes. Recover from iOS Device : Choose the first option and click the next arrow. 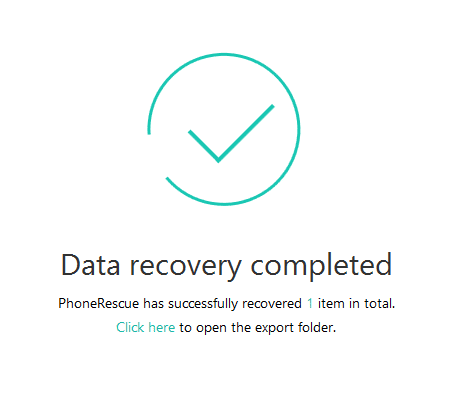 PhoneRescue will display a list of data types that can be recovered. As only photos are to be recovered, choose Photos while unchecking the rest of the contents. At any time, the recovery can be started from the beginning by choosing different data formats as needed. Click OK.
PhoneRescue will scan the connected iOS device as per chosen preferences. Don’t disconnect while this is in progress. 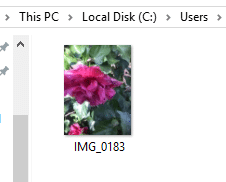 All the available photos even if deleted from iPad will be displayed in a File Explorer format. 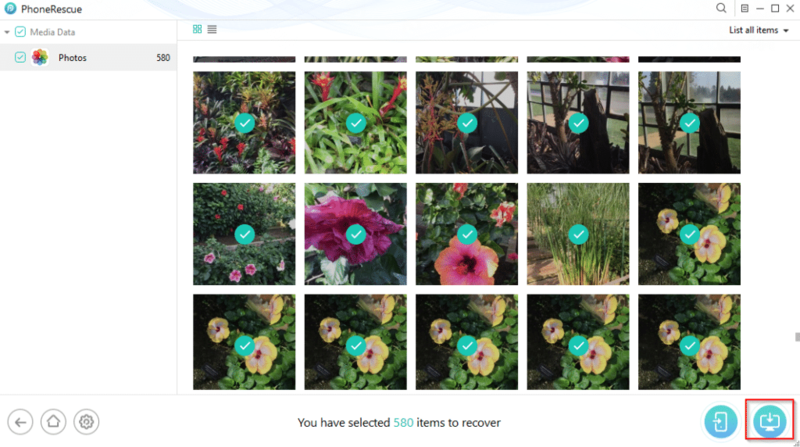 By default, all the photos are selected for recovery. Scroll and select specific photos as needed for recovery. This can also be useful in cleaning up a lot of photos. Recover them on PC and delete them from the device later to free up storage space. Click the recover icon at bottom right to recover specific photos. PhoneRescue will recover these photos as per selection and display the status. Depending on the number of photos to be recovered, the process may take time. The default recovery folder will be in Users/PhoneRescue along with the date time stamp. The recovered photos can now be accessed from there. 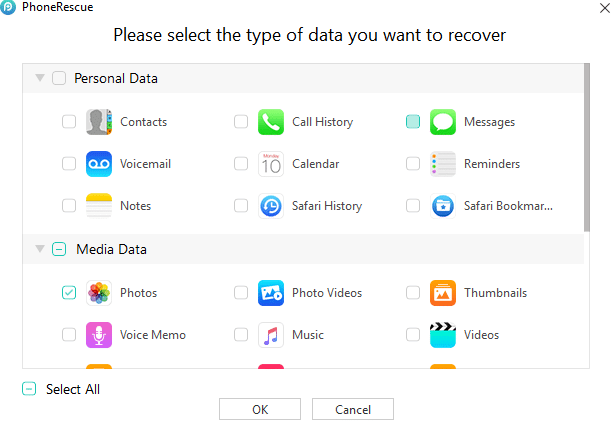 Recovery from iTunes Backup : If the second recovery option of using iTunes backup is selected, iTunes would first need to be installed. 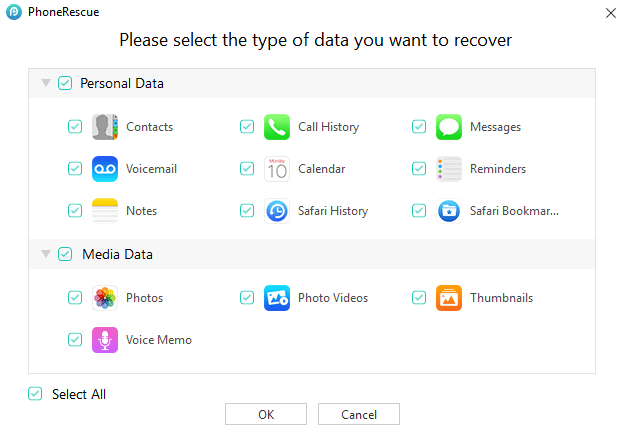 Then the backup of the connected iOS device would be displayed from which data can be recovered (photos in this example). 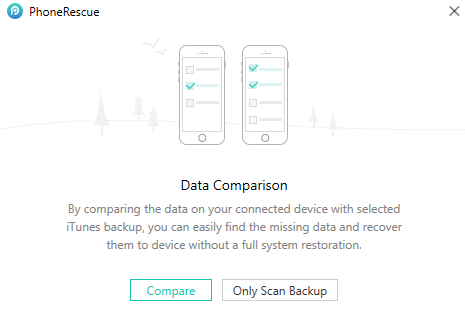 Also before initiating the recovery from iTunes backup, PhoneRescue will prompt for comparing data between the iOS device and the backup. This is a useful feature as it can then fill up any missing data (if the backup is newer compared to the current data) and restore it. Once again, the same screen for choosing what type of data to recover will be displayed. The process is the same as when recovering directly from iOS device. 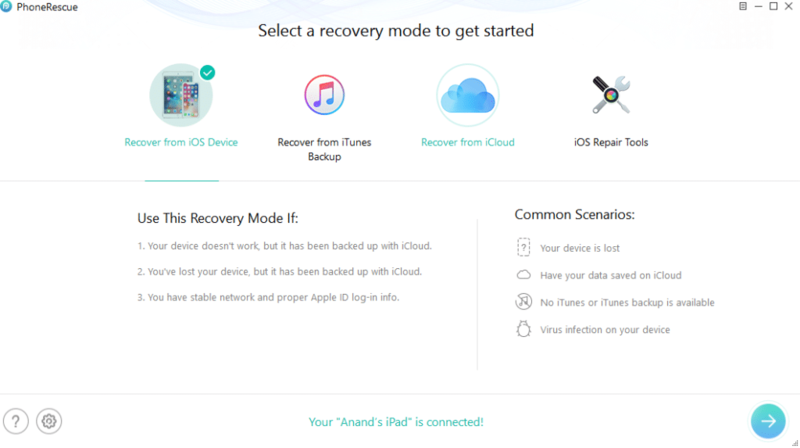 Recover from iCloud : If the cloud option is selected, you will need to login with Apple credentials and then follow the on-screen instructions. Rest of the process is the same. 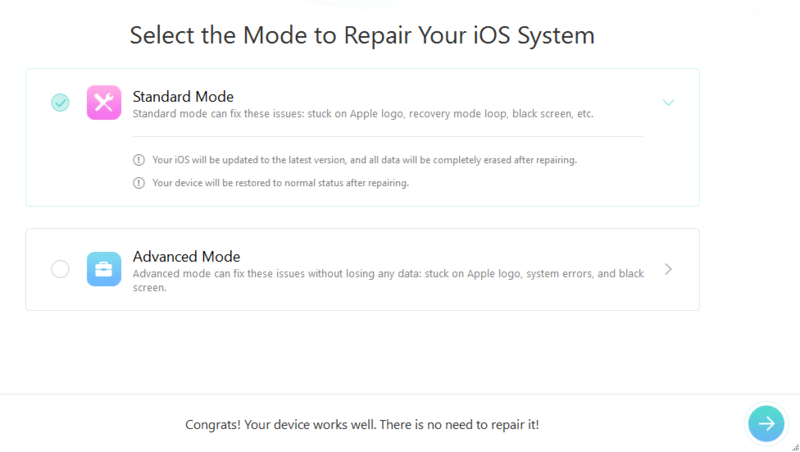 Using iOS Repair Tools : Finally, the last mode of using repair is only when the iOS device is broken or non-functional. PhoneRescue will automatically determine if the connected device is working normally or if this mode needs to be used. This is only as a last resort option for recovery. Overall, this is an easy to use data recovery tool for iOS devices. 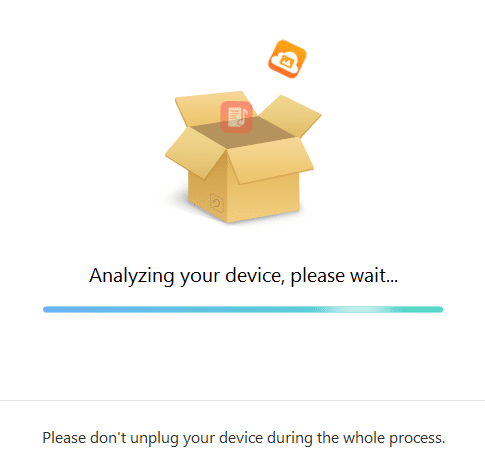 Simply connect the device, choose the recovery mode and the data type and start the recovery process.